A few years ago, EA Sports decided to jettison the rights to their flailing NASCAR series of games. There hasn’t been a serious entry since NASCAR ’09 was released in 2008. 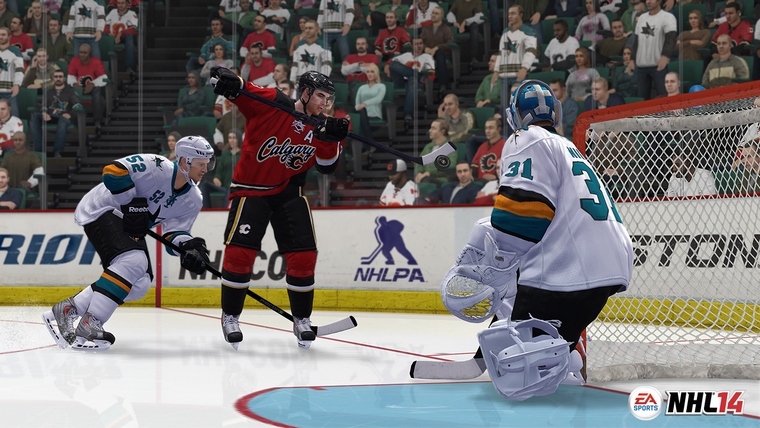 Madden NFL 25 experienced a slight dip in sales compared to previous years, and some people are thinking the 2015 installment of EA’s NHL series could “make or break” the franchise. There is an easy solution, but companies like EA are very reluctant to adopt it. If I could walk in to my local video game retailer this fall, say September of 2014, and pick up “NHL Seasons ’14-’15” that would do it for me. Think about it. You buy a “full” game every other year. It cuts down the annual release cycle, it creates less demand for players wanting to see extensive changes year to year, allowing your developers more time to implement the major changes they love to brag about when an overhaul happens. Sales numbers don’t start dwindling to the point where developers need to consider hanging the entire series out to dry. Consumers have played your games, through the entire global recession and beyond, but enough is seriously enough. Annual installments is too much in a day-and-age of ubiquitous connectivity. Roster updates could be delivered via the internet, as they already are. But allow it for at least two seasons and do not release a retail copy of the game every year, but rather every two. Heck, even if the roster between season was some form of paid DLC, $10 or $20, that’s far better than $60. The release cycle would be as follows: Retail game in September ’14. Free title updates and roster updates through the 2014-2015 season. September ’15, paid DLC roster update for the new season. Free updates for the 2015 season for people who paid for the DLC pack. New $60 retail release in September of 2016. Following this method, developers don’t have to worry about sales numbers and how it looks on paper to investors. It’s true, the absolute bottom line of dollars made may not be as high as selling a $60 game every year, but I think the broader audience you may appeal to with this approach may eventually lead to people buying the game on the two-year release cycle out of good will. Not feeling the pinch of being required to upgrade to the latest version might actually net your more players in the long run. There’s enough greed in gaming, DLC every few seconds is enough of a pain. But handled correctly, like the 2015 season roster being a download to my existing 2014 game, would be a welcome change for most.